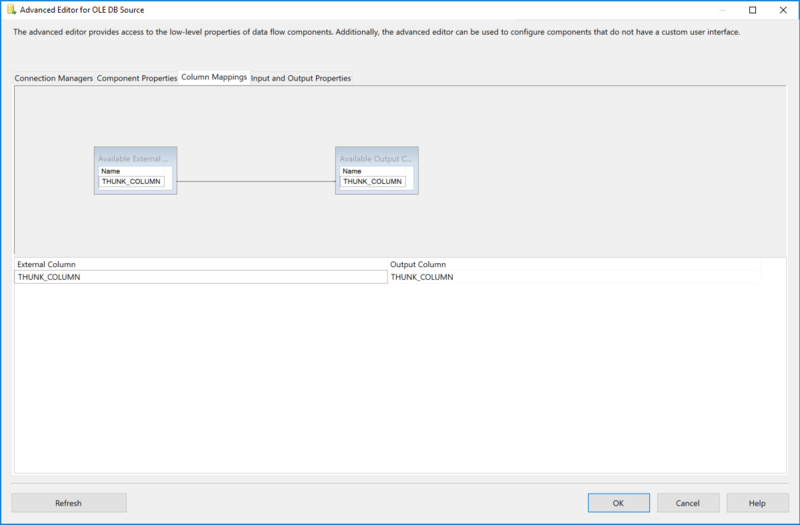 Data Flow Task Plus 1.4 allows setup of dynamic data flows. The dynamic setup options can be controlled with parameters from outside. This feature lessens the need to manually open and modify the data flow design when new source and destination columns have to be accommodated. Data Flow Task Plus also supports features similar to the features implemented for Script Task Plus. 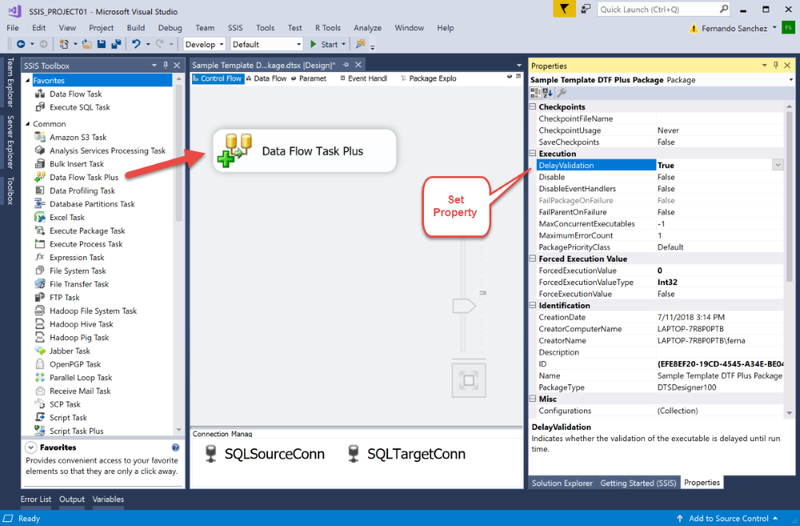 Data Flow Task Plus allows exporting of data flow logic and reuse in other packages. 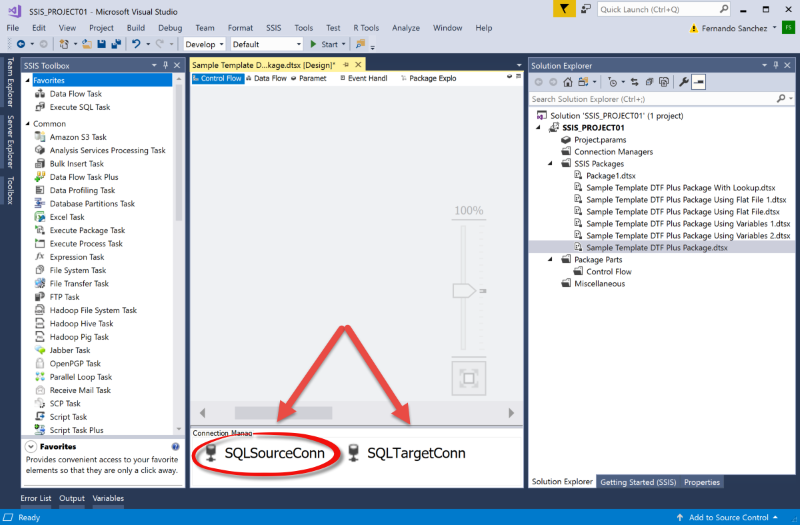 Keeping your SSIS data flow logic separate from your package helps you keep track of the changes independently in your source control system. Data Flow Task Plus also provides a customizable user interface for setup of your data flow. 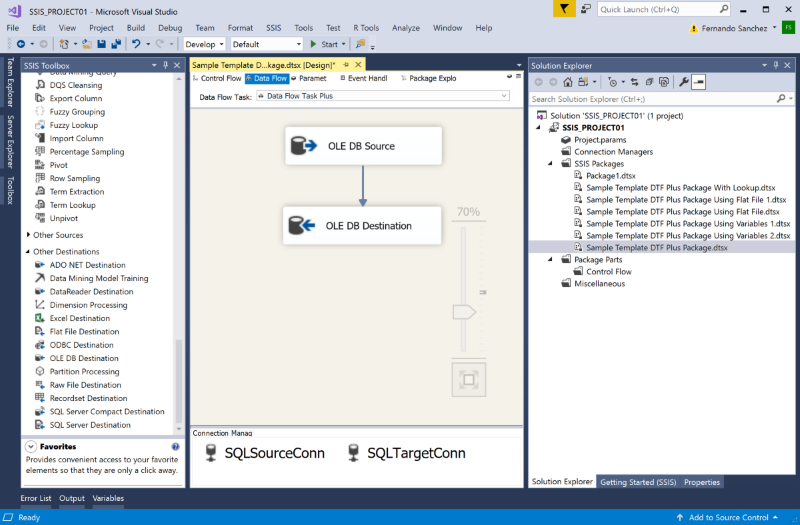 You customize the data flow setup dialog by implementing an SSIS script, which is part of the data flow task. These features will help you be more productive and allow you to componentize your common data flow logic. 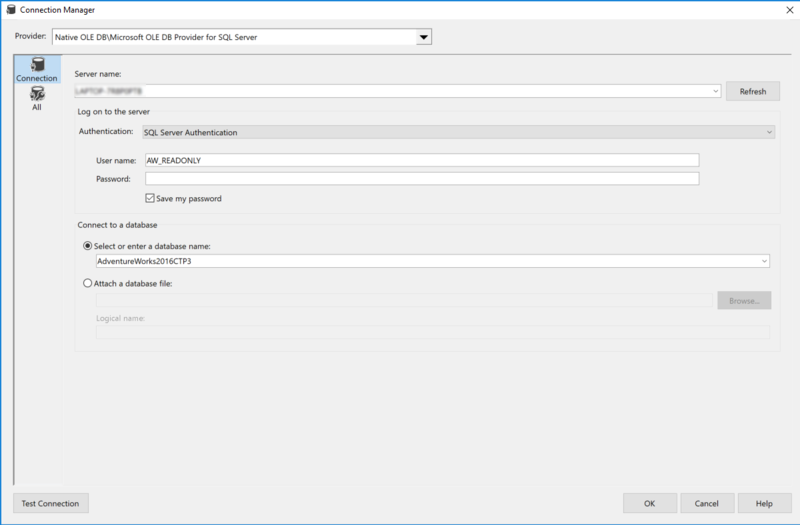 Setup tab - select data flow initialization parameters. These data flow parameters will be initialized before the data flow is executed. The page configuration is prepared with .NET attributes in the initialization script. Dynamic tab - specifies dynamic data flow options. For details check below. Advanced tab - specifies advanced task options. 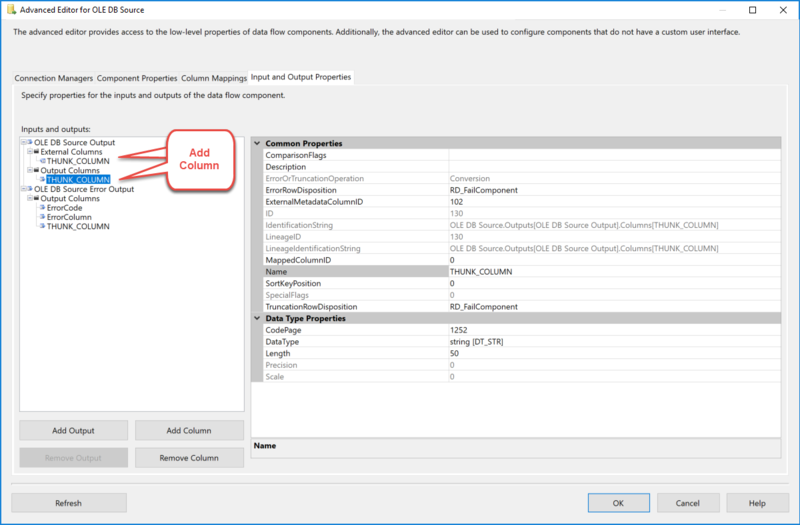 General page - specifies the data flow task name and description. Script page - specifies the data flow task script, which is used for Setup tab customization. 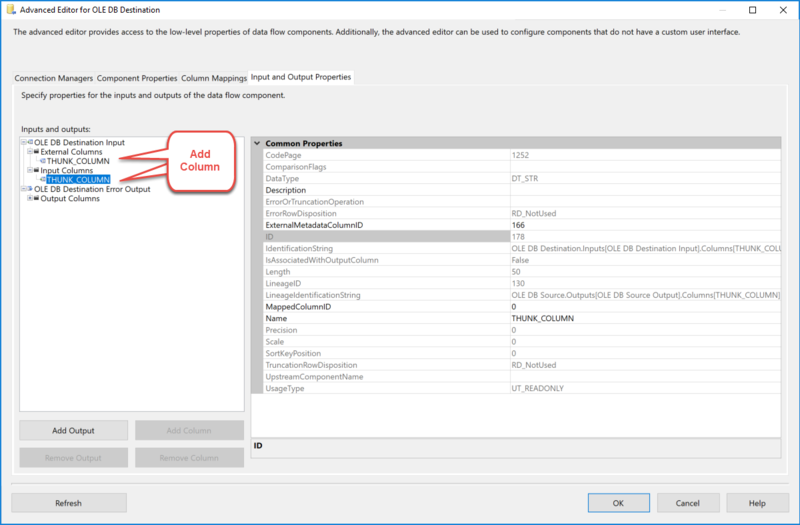 Expressions page - specifies standard SSIS expressions. 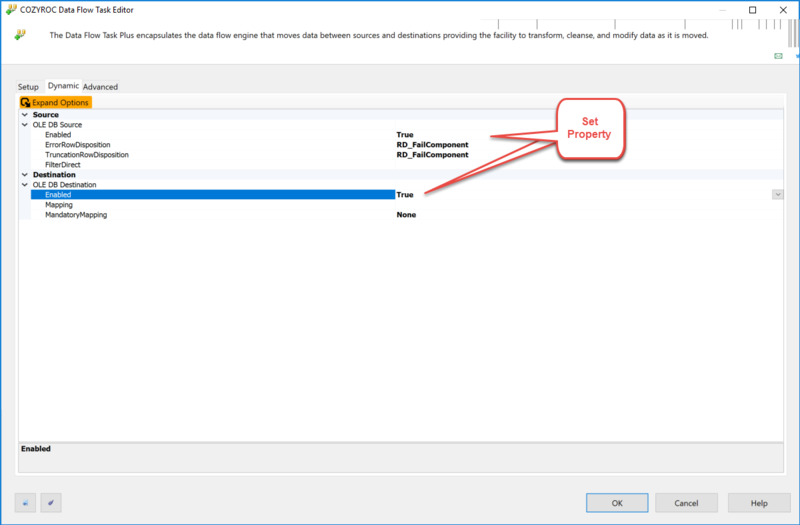 - exports the SSIS data flow to an external file (.dfx). 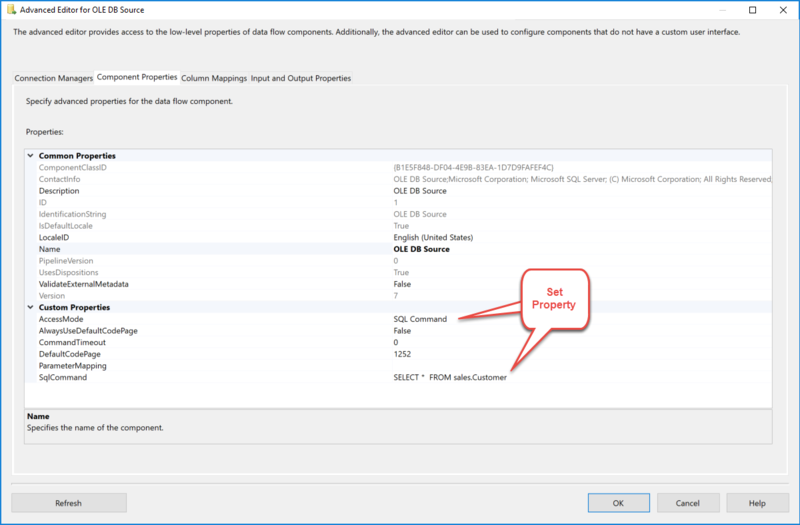 - links to the SSIS data flow from an external file (.dfx). The link can be removed by pressing the button again. Initialize page - selects the data flow initialization parameters. These data flow parameters will be initialized before the data flow is executed. The page configuration is prepared with .NET attributes in the initialization script. Script page - specifies the data flow task script, which is used for Initialize page customization. The dynamic data flow documentation is published here. Where can I find the documentation for the Data Flow Task Plus? New: Support for ODBC Source and Oracle Source components. Fixed: Failed with error "Field 'CozyRoc.SqlServer.SSIS.DataFlowSource.m_destination' not found." when using COZYROC Data Flow Source component (Thank you, Arun). New: Support for Azure Feature Pack adapters. 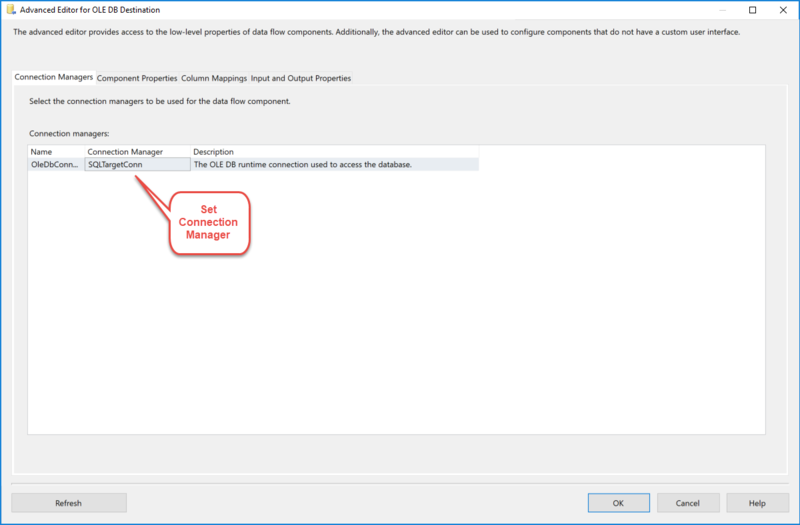 Fixed: Fixes for handling incorrect metadata setup by ADO.NET Destination component. 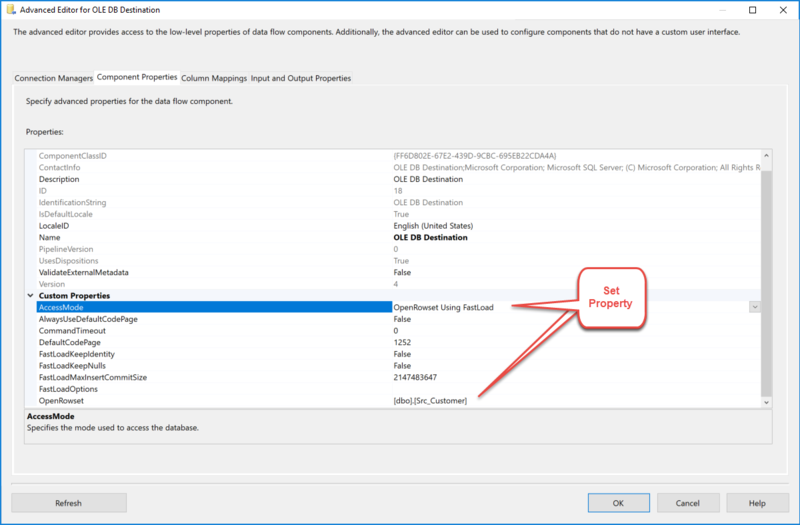 Fixed: AutoAdjustBufferSize property was not available for SQL Server 2016 (Thank you, Adam). Fixed: Failed to process destination tables with columns having greater than 4000 characters but less than 8000 (Thank you, Matt). Fixed: Failed to process when using Fuzzy Lookup component (Thank you, Matt). New: New parameters for error and truncation rows disposition for dynamic source components. Fixed: Various fixes and improvements (Thank you, Ankit). Fixed: Failed to process the standard Aggregate Transformation properly when the input data was floating and the used aggregation was: Sum, Average, Min or Max (Thank you, Parag). New: A new parameter MandatoryMapping for dynamic destinations with four options: None, Source, Destination and List. Fixed: Task used in combination with Parallel Loop Task failed when used with Flat File Source or Destination components (Thank you, Dan Palazotto). Fixed: Failed when using Fuzzy Lookup transformation (Thank you, Matt). Fixed: Failed when Lookup Plus transformation had more than one lookup definition against same input column (Thank you, Fabien). Fixed: Derived or Conditional Split transformations failed when used with flat file input data without headers. Fixed: Numerous fixes and enhancements (Thank you, Rushabh). Fixed: Table Difference component was not working properly with arbitrary input columns order. The task will now order the input columns (Thank you, Jasmin). Fixed: Error output directed toward flat file failed to process (Thank you, Leona). Fixed: Failed to process Recordset mappings after the first iteration (Thank you, Joe). Fixed: Numerous fixes and enhancements (Thank you, Eric). New: Task now includes more options for processing flat files. New: A new parameter MissingColumnFail for dynamic destination components. When set, the task will fail if source column is missing in destination. 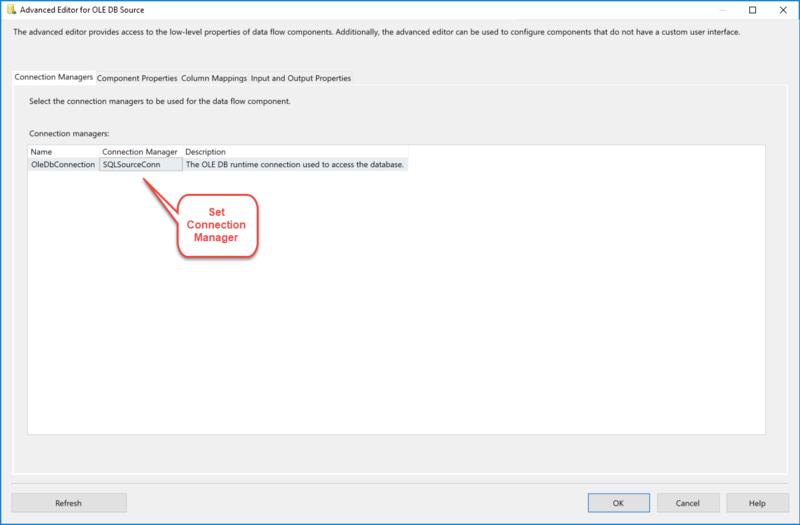 Fixed: Setup dialog was not opening properly, when package was in a solution with multiple SSIS projects (Thank you, Anthony). New: Task no longer requires at least one common column between different dynamic iterations. 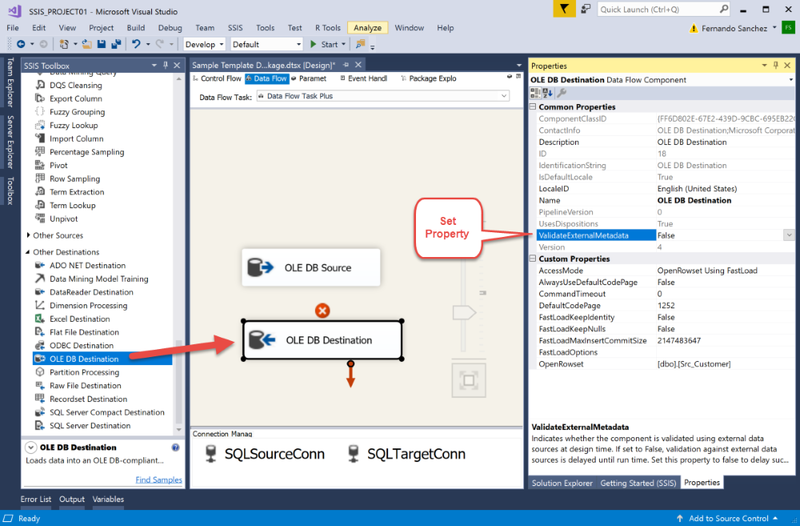 New: Support for handling of dynamically added columns in the data flow script. This feature permits further customization of columns. Fixed: Task didn't show component properties with CPET_NOTIFY flag set. Fixed: Task was not installed properly on 64bit systems.